Bay Area Talent + Oakland Venue = Memorable Night! Have I ever told YOU, my lovely readers, just how much I love Bay Area Venues? I love it even more if it happens to be in my hometown of Oakland. The New Parish holds a distinctive place in my heart, precisely for this very reason. 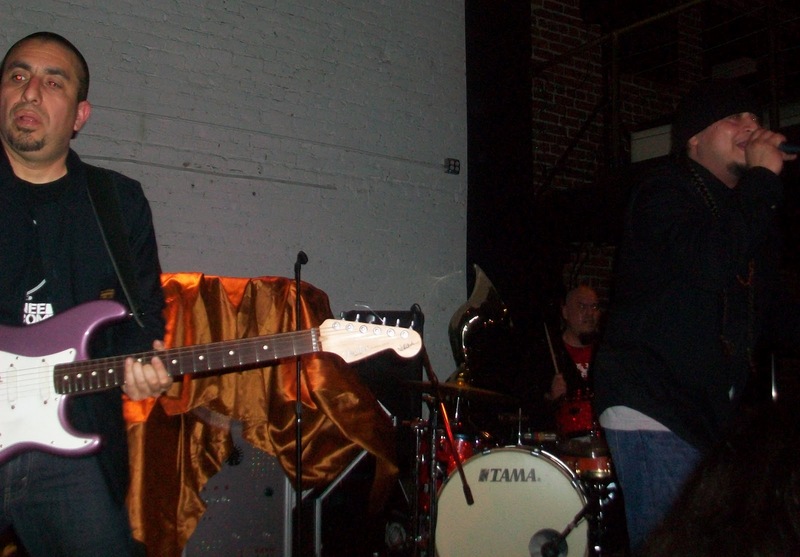 The New Parish has become the “go-to” place to check out some fabulous and fun-filled shows. San Francisco has some terrific places, but often times, if any given event falls on a weekday... well, the mere thought of paying the bridge toll and that whole shebang just does not seem appealing. And that is when a venue in Oakland is just the place to head over to. On Tuesday, I had the opportunity to attend the Nortec Collective: Bostich + Fussible, Bang Data & La Misa Negra show. I had never seen La Misa Negra live, but I have heard excellent things about their shows. Bang Data is Bay Area royalty, and they are currently promoting the release of their latest CD titled La Sopa; Nortec Collective has such a unique sound and I have been so curious to check out a live set. The show started getting packed fairly quickl. By 9:15PM the event-goers were already gathered around the front of the stage for La Misa Negra’s set. I was pleasantly surprised. 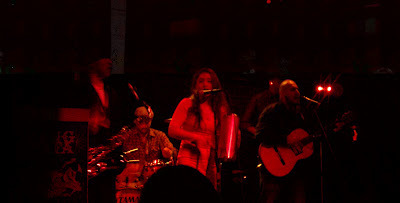 Stephanie Candelaria led the vocals and belted out unbelievable cumbia songs. The eight-member band made everyone sing and dance throughout their performance. By the time Bang Data came on stage, the crowd had been anxious to see them perform. It was a special night for the guys, since it marked the release of their latest CD titled La Sopa. Deuce Eclipse rocked the stage along with the rest of the guys, their energy on stage transpired to the crowd, and mostly everybody were singing along with the songs. 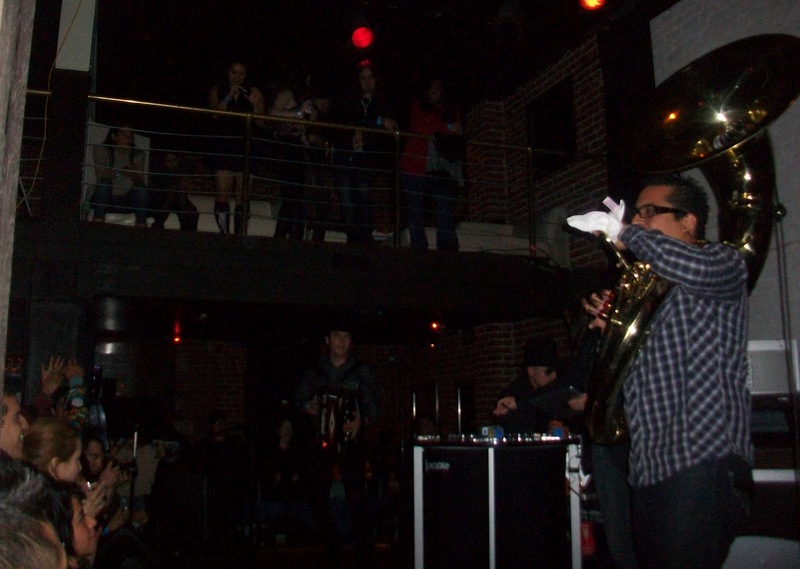 Nortec Collective: Bostich+ Fussible, coming straight from Monterrey & Tijuana Mexico, made us all wait a while. I was getting slightly anxious that their set was taking so long to start. At the end, it was well worth it! Perhaps you have heard their music online, but it is nothing like seeing them live. The way that they use musical instruments traditionally used in Mexican music and how they alternate it with the electronic sound (iPad and all), it is simply out of this world. All of these three bands made my sleep deprivation worth it! The bands all have more shows coming up. La Misa Negra will be playing at Madrone Art Bar in San Francisco, Bang Data is over in Austin, Texas for SXSW and Nortec is wrapping up their tour in California, which will end in LA, this week. And now you know, next time you want a fun night-out on a weekday, consider The New Parish as an option. Check out their concert calendar to see what other shows are coming up.